GoPro on Monday announced a new $400 action camera, the Hero4 Session, a cube-shaped device said to be half as big and 40 percent lighter than other Hero4 models, while still offering many of the same features including wireless connectivity to Apple's iPhone. The Session shoots 1080p60, 720p100, or 1440p30 video, and can also capture 8-megapixel photos in single, burst, or timelapse modes. As with the Hero4 Black and Silver, it offers options like Auto Low Light recording, SuperView wide angles, and stripped-down Protune video for editors who want to do more post-processing. The camera is waterproof to a depth of 33 feet, and notably doesn't require separate housing to do so, which on other GoPros can muffle audio. To cut down on wind noise, the Session automatically switches between its two microphones. 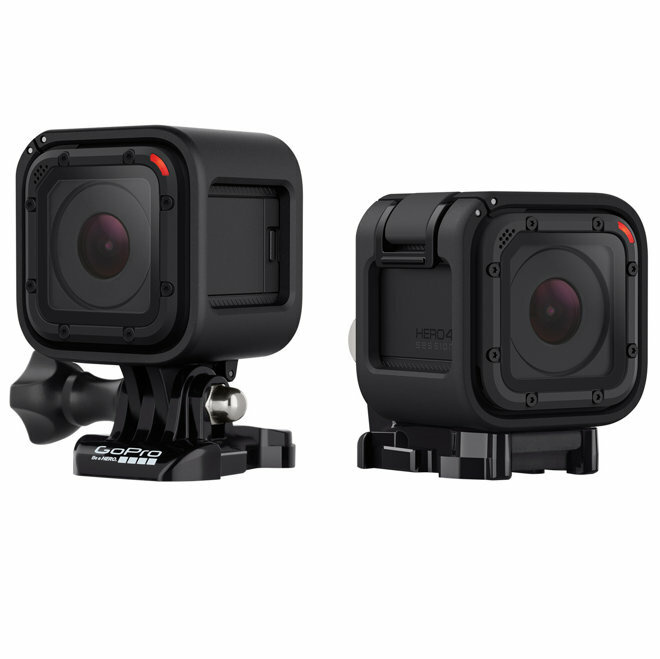 The device is compatible with existing GoPro mounts and accessories, and comes with a new ball joint buckle mount. Bluetooth and Wi-Fi allow it to connect with a Smart Remote or the GoPro mobile app for iPhone, allowing an expanded number of controls. The Session itself features a single button —a quick click starts video recording, while holding it down will start timelapse shooting. The camera costs $399.99, and will go on sale July 12 through the GoPro website and camera retailers such as B&H Photo ($399.99).